The quick answer to the question what a pole saw is is it’s a saw is specifically designed to quickly and cleanly remove or trim unwanted, diseased, or dead wood from trees and shrubs. There’s not much you can do about dead branches, you can either look at them until they fall or get out a pole saw and remove them before they can do any damage. Pruning is an art, and if you have no idea what you’re doing, before you buy any pruning saw, read up on how to properly prune shrubs and trees. Regularly pruning certain trees and shrubs will keep them looking beautiful and to a size and shape that’s visually pleasing. Most trees and shrubs can be pruned any time of the year but fall and spring are best for most, as you can clearly see which branches are alive. Pole fruit trees is difficult, so before you get out your pole saw please understand that you can spread disease, lower the yield of the tree, or possibly kill it completely if you don’t know what you’re doing. all the time, but they are extremely dangerous in the wrong hands. If you have a convenient power are an electric pole saw is the idea alternative for the householder, but again they must be used with caution. There are hundreds of accidents every year because people touch power lines with pole saws, electric or manual. Ladders are also a source of danger chainsaw and because most chainsaws are so heavy, there is always the danger of over-reaching and falling. An electric pole saw allows you to reach high branches without the need for a ladder. You will be looking up at falling sawdust, so always wear safety glasses! Take a good look around to ensure the branch is not going to fall on you, the fence, or the neighbor’s car. Getting inside a bush to thin it out may only require a gloved arm and a hand held pruning saw. Clippers or secateurs can deal with branches around half an inch thick, any more than that a hand held pruning saw will be your best alternative. These saws are curved with a cross-cut type blade designed to cut when you pull; a couple of strokes and the branch should saw through, leaving a clean cut. Jagged cuts and tears are not good for a tree; they leave it open to disease or can collect water, which may eventually lead to rotting. The secret to successful pruning is to keep your blade clean, sharp, and safely stored in a safety guard, away from humidity and small children. Purchase the special file you will need to use to keep your blade sharp, when you purchase your pruning saw and if you buy a telescoping or pole saw buy hooks so it can be stored safely when not in use. 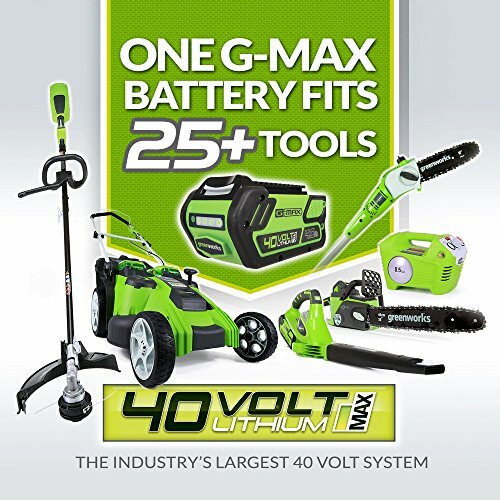 Cordless pole saws run off nickel cadmium batteries, which can be recharged. Press a button and you can cut branches up to 14 inches above you. Again, use safety glasses and extreme caution! You can prune branches high up without the need for a ladder with a telescoping pole saw. I use one for removing dead palm fronds. Most people find them slow and labor intensive, but usually because they don’t clean the blade and keep it sharp! While many people prune their trees with a chain saw, I find them too heavy, and you have to get up a ladder or climb the tree to use it. I’m lucky to live in a house that was designed with many electrical outlets around the outside, and I find an electric pole saw excellent for dealing with the many trees that surround my property. No dragging ladders around or climbing, I find mine the most convenient and quickest of the pole saw types to deal with high branches. 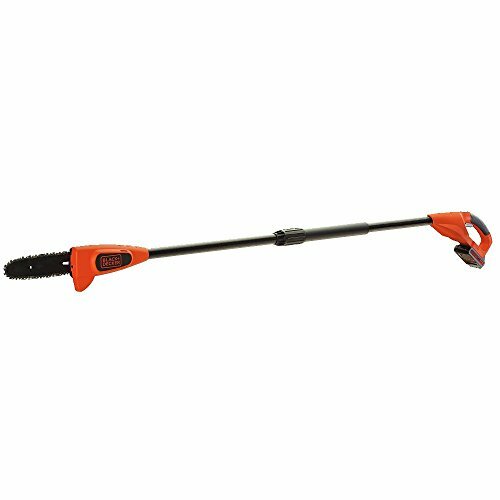 • The convenience of handling this light weight tool makes the trimming of branches easier. For branches which at high over reachable height, this pole saw is perfect to cut down the branches by the saw that is fixed at the top end of the pole. This makes the trimming process easy and simple as the convenient of reaching any height is possible with electric pole saw. • Most of the popular brands manufacture power tools that are perfect for consumer- level. These products are totally wireless and works on rechargeable battery. This option allows the user to work on any place away from electric power point or need not bother about dragging the extension wire along the work place. • The height of this pole is adjustable to a height of 14 feet, with the branch thickness of 6 inches. This means, when fully charged it can cut up to 100 branches of 1.5 inches thick. This pole saw can be adjusted to shorter length so as to store them at ease. The user can control the operation with the switch at the hand level which makes the work process easier. The gas pole saw is a fantastic invention that has made life easier for everyone. The chainsaw has been around for about forty years and is used for all sorts of wood cutting projects. There are two types of chainsaws, the electric chainsaw and the gas powered chainsaw which later became the gas pole saw. We will talk about that later in this article. What kind of chainsaw you use would be determined by where your source of power is located. 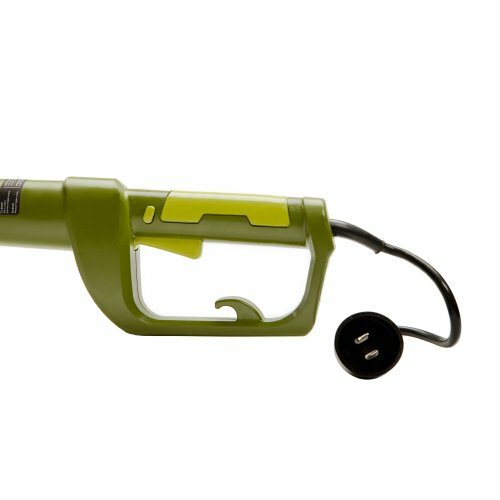 You would not use the electric powered chain saw if you had to use miles of extension cord to attach it to the power. Of course you may be in the position to transport a generator around with you. If the electric powered chainsaw does not fit your bill then you would choose the gasoline powered chainsaw. The gas powered chainsaw is more efficient and harder working than the electric chainsaw. Therefore for purposes of efficiency and overlooking the slight increase in noise, it seems the gasoline powered chainsaw is the chainsaw of choice by most users. The chainsaw, as it exists, is small and does not reach into all of the high and low places one wants to use it in. For instance, if you are trying to trim a tall tree the chainsaw, as it is, would not reach into the higher or deeper areas of the tree. Enter the extension pole. Someone decided it would be a good idea to mount the chainsaw onto an extending pole and the gas pole saw was born. Now, with the gas pole saw the tree can be trimmed from any angle or height by merely extending or lowering the pole. This has made a tremendous difference to everyone who deals with maintaining trees, both in terms of safety and convenience. Both professional tree trimmers and home owners use the gas powered pole chainsaw with ease and efficiency. Before the pole, trees would have to be trimmed manually which meant the trimmer would have to climb the tree. If the trimmer was a home owner most likely the tree would not be trimmed in some areas which sometimes lead to a kind of lop sided tree. With the gas pole saw the problem of the odd looking tree has been solved, and the neatly manicured tree came into being.Trees are not the only place the gas pole saw can be used although, it seems to be the favorite tool of gardeners. Today, the gas pole saw is manufactured by many tool manufacturers such as Black & Decker, Stihl, Craftsman and others. Thereby, making the saw available to anyone that needs or wants one. Speaking for the homeowner that has a lot of land and an avid love of trees the gas pole saw is as much a necessity as the kitchen table. This piece of machinery is the answer to a tedious job. Some pole saws can reach up to 20 feet and one of the best on the market is the Silky Hayate, 3-Extension Pole Saw. Don’t be alarmed by the price – get a quote from your local tree service and you’ll quickly be ordering yours online! They are a great investment and will save you money in the long run BUT you must learn how to sharpen the blade. Although I live outside a large city, I have yet to find anyone who sharpens saw blades properly at a reasonable price. It takes a diamond file, two clamps and 15 minutes to sharpen a Silky blade, less time than driving somewhere to get it done. If you have palms, a manual or electric pole saw will quickly and cleanly remove unsightly dead fronds. It won’t take long before your palms look as if they’ve been professionally trimmed. Owning an electric pole pruning saw means you’ll be able to get on the roof and remove overhanging branches way up high, before they dump ten tons of leaves into your gutters. If you live anywhere where fire and/or high winds are a danger, it pays to own a good pruning saw. Removing dead brush and branches as soon as they appear means less fuel for fires, and less debris that can cause damage in high winds.